The Future Circular Collider: what’s the MacGuffin? I’ve been reading a few items here and there about proposals for a Future Circular Collider, even larger than the Large Hadron Collider (and consequently even more expensive). No doubt particle physicists interested in accelerator experiments will be convinced this is the right move, but of course there are other projects competing for funds and it’s by no means certain that the FCC will actually happen. One of the important things about `Big Science’ when it gets this big is that it has to capture the imagination of people with political influence if it is to be granted funding. Based on past experience that means that there has to be a Big Discovery to be made or a Big Idea to be tested. This Big Thing has to be simple enough for politicians to understand and exciting enough to capture their imagination (and that of the public). In the case of the Large Hadron Collider (LHC), for example, this was the Higgs Boson. In the case of the Euclid space mission, the motivation is Dark Energy. The Big Thing that sells a project to politicians is not necessarily the thing that most scientists are interested in. The LHC has done a lot of things other than discover the Higgs, and Euclid will do many things other than probe Dark Energy, but there has to be one thing to set it all in motion. It seems to me that the Big Question about the FCC is whether there is something specific that can motivate this project in the way the Higgs did for the LHC? If so, what is it? Answers on a postcard or, better, through the comments box below. Anyway, these thoughts reminded me of the concept of a MacGuffin. Unpick the plot of any thriller or suspense movie and the chances are that somewhere within it you will find lurking at least one MacGuffin. 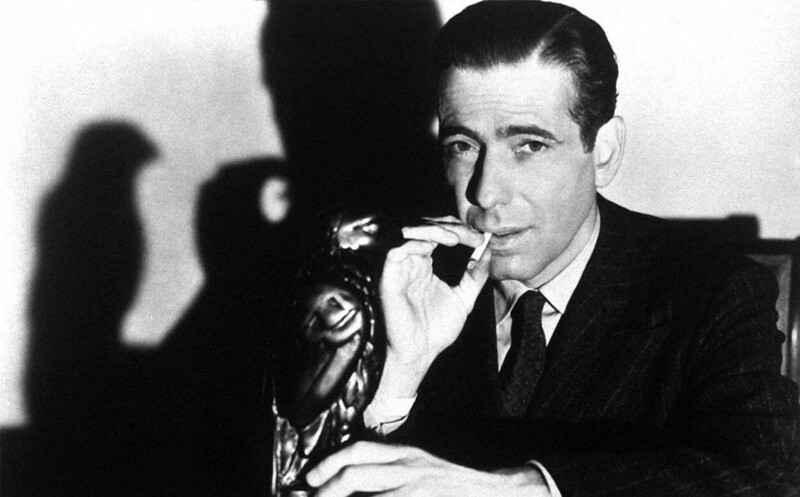 This might be a tangible thing, such the eponymous sculpture of a Falcon in the archetypal noir classic The Maltese Falcon or it may be rather nebulous, like the “top secret plans” in Hitchcock’s The Thirty Nine Steps. Its true character may be never fully revealed, such as in the case of the glowing contents of the briefcase in Pulp Fiction , which is a classic example of the “undisclosed object” type of MacGuffin, or it may be scarily obvious, like a doomsday machine or some other “Big Dumb Object” you might find in a science fiction thriller. Or the MacGuffin may not be a real thing at all. It could be an event or an idea or even something that doesn’t actually exist in any sense, such the fictitious decoy character George Kaplan in North by Northwest. In fact North by North West is an example of a movie with more than one MacGuffin. Its convoluted plot involves espionage and the smuggling of what is only cursorily described as “government secrets”. These are the main MacGuffin; George Kaplan is a sort of sub-MacGuffin. But although this is behind the whole story, it is the emerging romance, accidental betrayal and frantic rescue involving the lead characters played by Cary Grant and Eve Marie Saint that really engages the characters and the audience as the film gathers pace. The MacGuffin is a trigger, but it soon fades into the background as other factors take over. Whatever it is or is not, the MacGuffin is responsible for kick-starting the plot. It makes the characters embark upon the course of action they take as the tale begins to unfold. This plot device was particularly beloved by Alfred Hitchcock (who was responsible for introducing the word to the film industry). Hitchcock was however always at pains to ensure that the MacGuffin never played as an important a role in the mind of the audience as it did for the protagonists. As the plot twists and turns – as it usually does in such films – and its own momentum carries the story forward, the importance of the MacGuffin tends to fade, and by the end we have usually often forgotten all about it. Hitchcock’s movies rarely bother to explain their MacGuffin(s) in much detail and they often confuse the issue even further by mixing genuine MacGuffins with mere red herrings. There’s nothing particular new about the idea of a MacGuffin. I suppose the ultimate example is the Holy Grail in the tales of King Arthur and the Knights of the Round Table in which the Grail itself is basically a peg on which to hang a series of otherwise disconnected stories. It is barely mentioned once each individual story has started and, of course, is never found. That’s often how it goes with MacGuffins -even the Maltese Falcon turned out in the end to be a fake – they’re only really needed to start things off. So let me rephrase the question I posed earlier on. In the case of the Future Circular Collider, what’s the MacGuffin? This entry was posted on February 7, 2019 at 11:59 am and is filed under Science Politics, The Universe and Stuff with tags Cosmology, Dark Energy, Euclid, Future Circular Collider, Large Hadron Collider, MacGuffin, Particle Physics, The Maltese Falcon. You can follow any responses to this entry through the RSS 2.0 feed. You can leave a response, or trackback from your own site. Peter: you present Euclid as the cosmology equivalent of the LHC, but really I think it is more closely analogous to the FCC (apart from the minor difference that Euclid is funded). The reason the scientific situation is similar is that FCC and Euclid will both be looking for physics beyond the standard model – but both lack much in the way of firm theoretical indications that there will be anything to detect. In both cases, you have some un-naturally small numbers in the standard model (Lambda for cosmology and the Higgs mass for PP), and these cry out for a deeper explanation. But the standard models work fine if these numbers are just what they are, so it’s not obvious that something new *must* be detected (whereas for the LHC the Higgs was a missing piece of the standard model, so it was reasonable to build in the expectation of seeing something). So there is a decent chance that Euclid will be consistent with a cosmological constant. And as is well-known the FCC is getting some stick because people are nervous that the lack of SUSY signals at the LHC means there is a chance that FCC will just continue these null results. Some of the articles written about this are less than ideal, claiming that the LHC “failed to find SUSY”. That’s a loaded term, as a powerful null result should not be described as a failure. Still, it is true that a null result tells you less than a novel phenomenon, so it’s only human to hope for the latter. But we have to carry out Euclid (and the FCC if funded) accepting that the probability of ending up with a null result is surely non-negligible. So you have to be prepared to argue that the cost of the experiment would be worth it even in that case. I think this argument can be made for Euclid as it’s cheaper and there will be a lot of legacy data – for the FCC, it will be interesting to see how the current debate unfolds. With Euclid I think it’s absolutely right to think of Dark Energy as the MacGuffin for Euclid. If I had to bet I would say that it will find w=-1 (with observational error) so in that sense it would be a `failure’ but I agree totally that the data would be very valuable for many other things and there’s a chance something else unexpected will show up. My question – which wasn’t intended to be loaded – was what should be the corresponding big ticket item for the FCC? Is it supersymmetry? I’m not convinced that would sell and if it’s not supersymmetry what is it? It’s worth pointing out that FCC is really two separate things, the FCC-ee colliding electron/positrons, followed later (and more expensively) by FCC-hh colliding protons. The case for FCC-ee as a “Higgs factory” is pretty strong for doing high-precision measurements of Higgs physics; but, it seems that a 100 km ring is overkill to do that, and 50 km would be enough. It’s worth remembering that LEP-2 maxed out at 209 GeV, and 230-240 GeV is optimal for Z+H production, so LEP-2 only missed the Higgs by about 5-10 percent (though 20-40 percent in electric power). So, it seems the FCC-ee is “oversized” so that FCC-hh can reach 100 TeV with protons later on, and I think it’s correct that there isn’t really a McGuffin for the 100 TeV number. But we have the Higgs so it is hard to make the case for politicians that it needs to be re-made better. I can see only two cases which could grab the attention: a dark-matter machine, or the search for the Accelerator (the magic particle that scared the Universe so much that it caused it to accelerate). I am probably far too simplistic – but that is how the funders will need to present the case. Will the FCC do either? Or is just a a charge of the light brigade? All at the same time? I’ll have to watch the clip. As I’ve said elsewhere, regarding new, expensive colliders, or other similar projects, three points need to be distinguished. First, the total cost is almost negligible in the grand scheme of things. (The USA spent—probably more now—a million dollars on the military—per minute.) Second, despite the first point, with limited research funding, one has to make choices. Third, “we don’t expect to find anything” is not a good reason for not building it, since if implies that serendipitous discoveries are not good (but still might be relevant in conjunction with point 2). Look at the arguments used to justify the 200-inch Palomar telescope, or the VLA. They ended up doing a lot of good science which was not even thought of when they were built.